Download "Quiz Chapter 7 - Solution"
1. 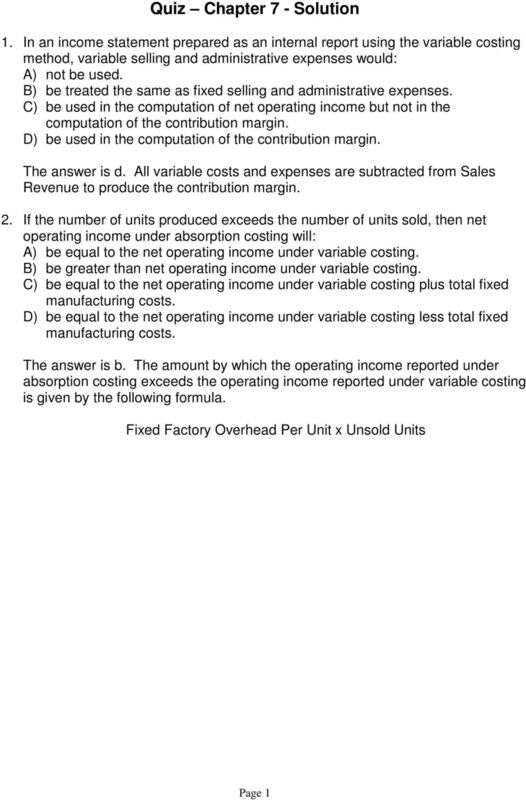 Which one of the following is the format of a CVP income statement? A. Sales Variable costs = Fixed costs + Net income. Job Number A23 C76 G15 Direct labor ($8/hour) $24,000? $8,800 Direct materials $42,000 $61,000? Overhead applied? $24,750 $6,050. Variable Cost increases in direct proportion to Volume Fixed Costs do not change as Volume changes (in a relevant range). 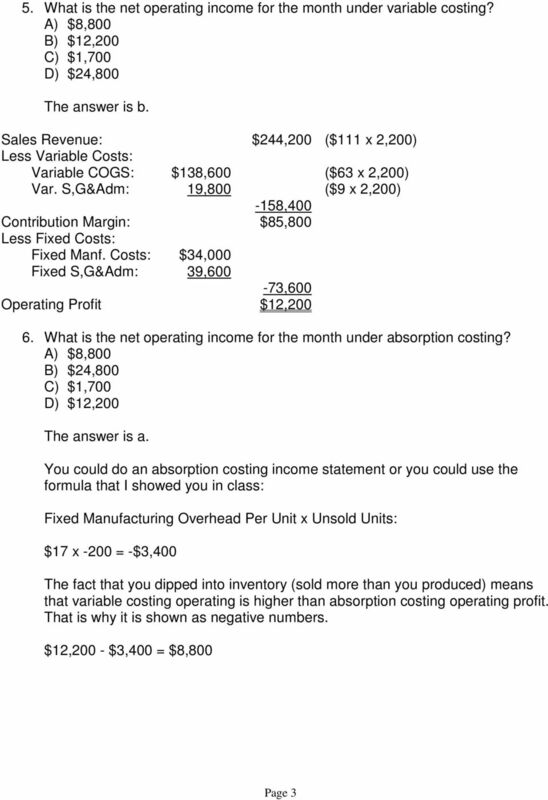 Accounting 2910, Summer 2002 Practice Exam 4 1. The cost of materials entering directly into the manufacturing process is classified as: a. direct labor cost b. factory overhead cost c. burden cost d.
7. Break-even. Operating and Financial Leverage. 1. Austin Manufacturing had the following operating data for the year just ended. Analysis of Inventories. Inventory: Asset or Expense? Lanen 3e, Chapter 17 Additional Topics in Variance Analysis Learning Objectives 1. 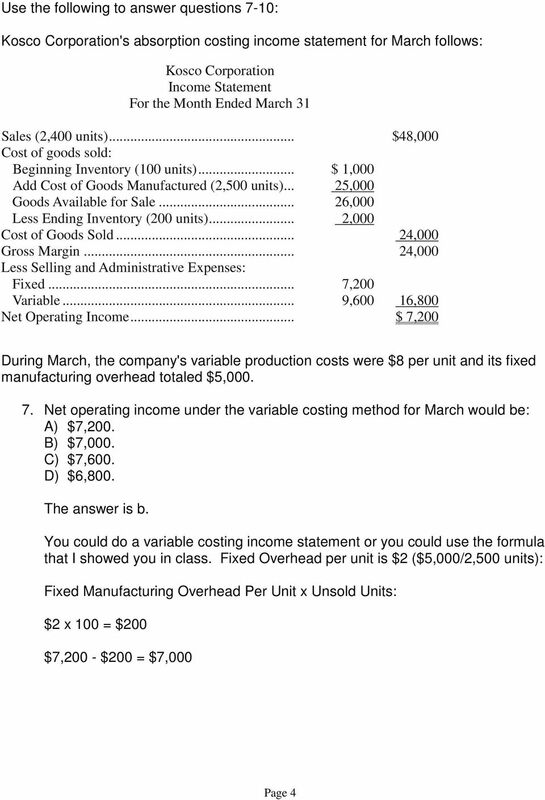 Explain how to prorate s to inventories and cost of goods sold. 2. Use market share s to evaluate marketing performance. 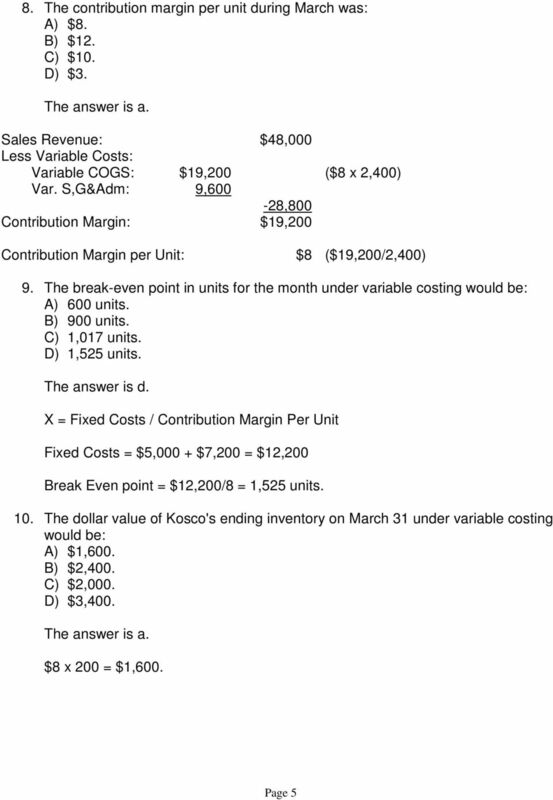 Financial Statements LESSON 15. What are Financial Statements? 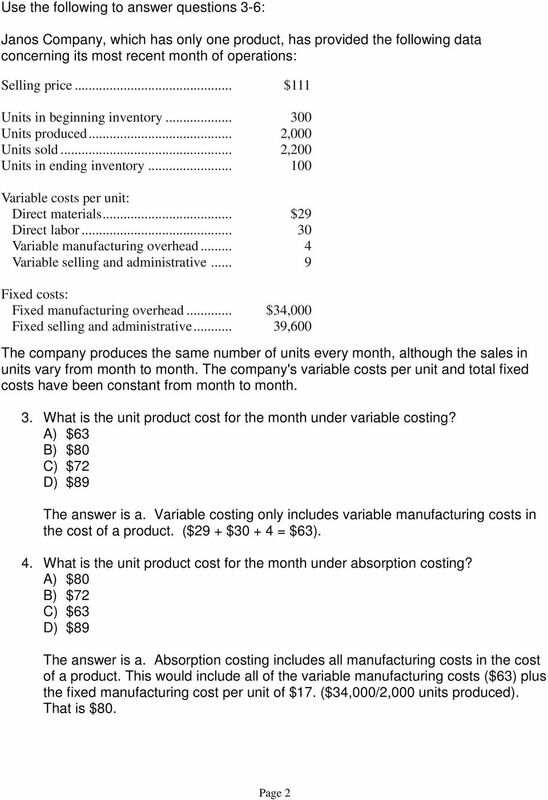 (FIN MAN); CHAPTER 5 (MAN) VARIABLE COSTING FOR MANAGEMENT ANALYSIS 1. a. Under absorption costing, both variable and fixed manufacturing costs are included as a part of the cost of the product manufactured. Problems for CFA Level I Analysis of Inventories 1. Assume that purchases and unit costs throughout the year were as in Table 1. Inventory at beginning of Quarter I: 400 units at $20 per unit = $8,000. Solution to Review Problem I 1.